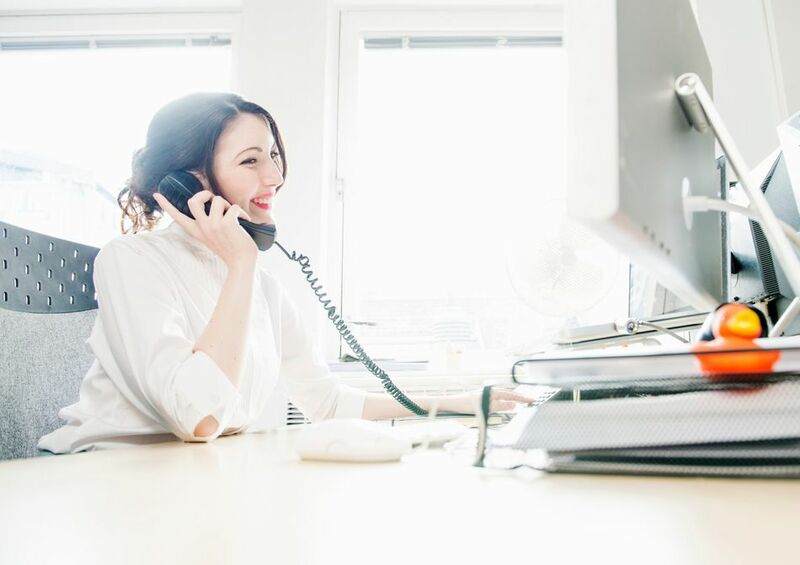 Voice mail greetings set a tone for how callers will perceive you and your company and are subtle and easy ways to foster positive business relationships. Upbeat messages that are short and to the point are best. And don't rush through your message. Be efficient but relaxed and take your time. Start your voice mail greeting with a short "Hello" or "Welcome to the XYZ Company." Don't use phrases like "your call is very important to us" and the like. These have become overused and may be perceived as insincere. They make your message long and a waste of the caller's time. State your full name clearly and pronounce every syllable so the caller knows they have reached the person they expected to and so they want to write your name down if they wish. If you have a long name, slow down so your caller can hear it. Stating your company name and your department will let the caller know they've reached the right place—especially if they went through a series of automated attendant prompts or a phone system directory of employees or departments. This is especially important for external voicemail greetings. It may be skipped for internal calls. A short statement (some people like an apology in the statement) that you are unable to take their call is standard and moves the caller quickly through to information on when you can get back to them and the all-important message beep. Invite the caller to leave you a detailed message. If your policy is to return calls by the end of the day, tell your caller that. If there isn't a policy, offer the caller an estimate of when you will return their call. If you are away from the office for a week, let them know that too. Nobody likes being trapped in "voice mail jail," waiting for a response with no other options. If there is somebody the caller can contact for immediate assistance, provide directions on how to contact that person. Keep it short: 20 to 25 seconds maximum. People are busy and don't like wasting time. Provide your callers with only the information they need to leave you a message or get in contact with you.